Eau de Toilette Cuba Silver Blue men's fragrance is fresh in their original packaging. 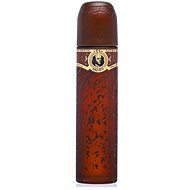 The bottle in the shape of a Cuban cigar is hidden in elegant silver and blue packaging. This fresh fragrance suitable for romantic men who love the smell of summer days. Thanks to the original packaging and fresh natural scent, this eau de toilette suitable gift for any man. Composition notes of this fragrance is carefully prepared and so every chord perfectly stand out. The scents gently mixed and the whole composition underlines the strong base of woody notes. Fresh, warm and sensual yet very masculine scent is long lasting and is suitable for daily wear. The fragrance will be a long and pleasant surrounding will attract the attention of women. Wrap yourself in the scent of nature and enjoy the attention of women! 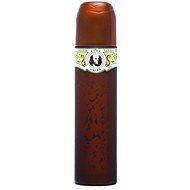 For shipping to other EU countries visit this page CUBA Silver Blue EdT 100 ml. Für Versand nach Deutschland, besuchen Sie bitte CUBA Silver Blue EdT 100 ml. Chcete doručit zboží do Česka? Prohlédněte si Cuba Silver Blue EdT 100 ml. Chcete doručiť tovar na Slovensko? 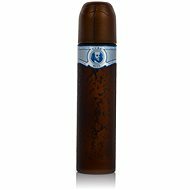 Prezrite si CUBA Silver Blue EdT 100 ml. Für Versand nach Österreich, besuchen Sie bitte CUBA Silver Blue EdT 100 ml. Magyarországra történő kiszállításért tekintse meg ezt a termékoldalt: CUBA Silver Blue EdT 100 ml.